At the start of each new year both personally and professionally most of us look down the road and make plans and set goals. Some call these new years resolutions. Its energizing to look a the new year a clean blank slate and imagine all the great things that will come…. (imagine the sound of the needle scratching the record) Then the reality sets in. Take for example the recent Informant iOS 5.41 release. We were notified in October that our long time weather feed provider would be ending their weather feed on 12/31/18. We had a long history with them and hated to see them go but such is life so to speak. We did some research and found a new provider and development began. For now, we are back to our roadmap and back on track with our 2019 plans. In 2019 our focus is on the details of Informant, we feel that it is the details that separate the really good applications from the excellent applications. Informant has been on an aggressive path of new items for the last couple of years. 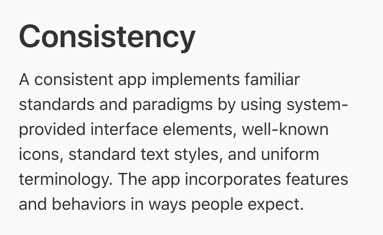 From a totally new user interface for Informant 5 coupled with a new and revised framework, updates for the new iOS devices without home buttons, and revisions to nearly every subsystem our focus has been on making those things the best they can. During this time we’ve been collecting a good number of usability fixes that many of you have sent in and a few requests for minor changes that simply make sense for the entire application. By themselves any one of these fixes will not be much of a game changer but in whole, these details will smooth out some rough edges, streamline some other areas, and ultimately will elevate Informants overall quality and feel to even higher levels than they are now. We may have to take a detour here and there for various reasons as even the best laid plans….well you get the point. Am I the only one unable to choose Feb (while currently in Jan)? Every time I try, the calendar changes to Mar, then I am able to choose Feb going back a month, but when the calendar shows January and I try to choose Feb, I get Mar (which isn’t even visible, I only see Feb). We will be glad to help you. Please open a case to support either in app or via pocketinformant.com as there are many other bits of information that are needed to assist you.